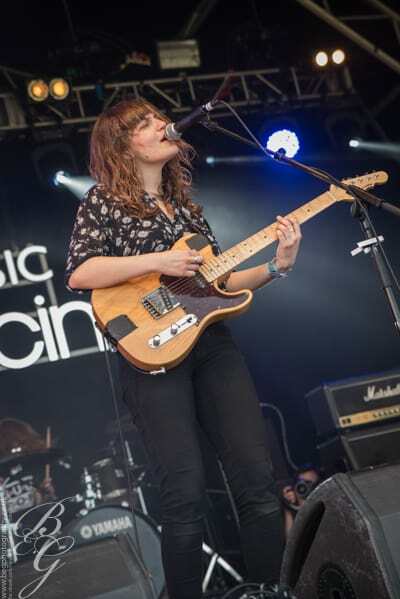 We’re starting Big Weekend’s Sunday over at the BBC Introducing Stage with Brighton trio Our Girl. After such a huge day yesterday, this is the perfect start to our Sunday morning to ease us back in to it. With dreamy ‘60s feeling guitars and the soft vocals, this is a sound you can get lost in. A fairly small crowd has gathered – much smaller than the band deserve – but that doesn’t stop them from wowing us lucky few with brilliant, well written songs that occasionally even delve into a more psychedelic instrumental sound leaving us wanting more. Keep an eye out for these! Occasionally you will get a pop star whose songs instantly get stuck in your head. 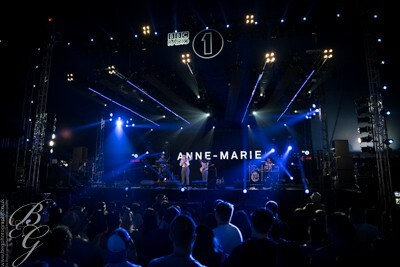 Anne-Marie is one those pop stars. Even though it is still early a big crowd has gathered to see the ‘Alarm’ singer, who puts on an impressive performance. Even if this sort of music isn’t your cup of tea, you would struggle not to enjoy this set. 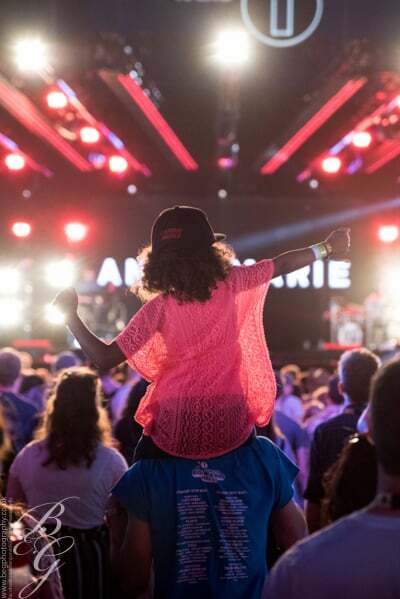 Unlike quite a few of the acts this weekend, Marie hasn’t gone along the lines of using backing tracks but instead has a beat perfect live band which takes the performance to another level. Playing through a feel good set of huge songs, including the top ten hit ‘Ciao Adios’, she ends on a cover of Clean Bandit’s ‘Rockabye’ – a song which she actually features on. Admittedly, I didn’t know that much about Circa Waves before their Big Weekend performance, so I didn’t really know what to expect, but from the first riff I was hooked. Without a doubt Circa Waves deliver the heaviest opening I have seen all weekend. Like the love child of Dave Grohl and Billy Corgan (that’s actually quite a scary image!) they have a sound that feels fresh yet familiar. Opening up with their newest single ‘Wake Up’ they instantly get the crowd bouncing and partying. 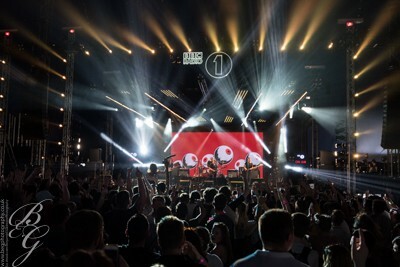 Playing against a vibrant back drop taken from their second album, ‘Different Creatures’, Circa Waves deliver a brilliant set of huge riffs and catchy choruses before finishing with the perfect summer track ‘T-Shirt Weather’. Approaching the Main Stage for the first time today, we hear the familiar sounds of British indie-pop band, Bastille. These guys seem to know exactly how to put on a perfect performance. Just a couple of songs in and it’s clear to see just how much of a hit they are with the huge crowd that’s gathered. Breaking into the brilliant ‘Flaws’, it is impossible to stand still and not have a little dance. Claiming to be a cringe worthy and embarrassing dancer, frontman Dan Smith encourages the crowd to join him for ‘Of The Night’ – their mashup of ‘Rhythm is a Dancer’ and ‘Rhythm Of The Night’. Credit to Bastille, they really have made the songs their own and it sounds brilliant! And to be honest, Smith’s dancing wasn’t that bad, but then again that is coming from a guy whose signature dance move is a hip thrust named after Mr Bean…anyway…Bastille go on to gives treat us to the new single, ‘Glory’ before ending the set with huge 2013 Summer anthem, ‘Pompeii’. 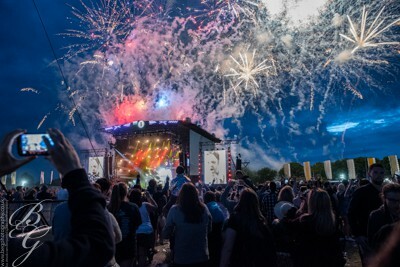 Walking away, still humming the ‘Eh eh oh’ of Pompeii, we head back over to the Where it Begins Stage to catch Twin Atlantic, proudly flying the Scottish flag. The anthemic alt-rock band are on fine form this afternoon and keep the energy levels running high. Opening up with the brilliant ‘Whispers’, the guys set the tone of the show straight away with their instantly recognisable brand of what will surely be future classics. Huge sing-alongs, massive guitars and heart pounding drums are on the menu tonight as the guys break out into ‘Make a Beast of Myself’. Hearing a few though voices singing “You know, you know, it’s the end of our sweet universe” is euphoric. Telling the crowd just how hard he is trying not swear (just like Biffy the day before – do you guys north of the border really swear that much…that was a silly question, wasn’t it?) the opening riff of ‘Heart and Soul’ begin and brings the show to it a brilliant end. On the heavier side of Big Weekend we have another local band, Lumer. 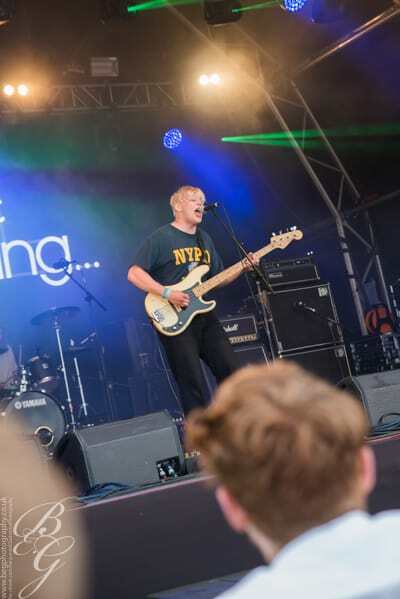 Hitting up the BBC Introducing Stage, they deliver awesome set of angsty punk goodness. Bringing vibes reminiscent of Joy Division and Black Flag, the young post-punks manager to cluster up a big crowd and play a blinder of a set, showcasing themselves as a punk band to be reckoned with. Alt-J are perfect tonight. This is the first time seeing these guys live and it’s the band I have been looking forward to seeing all day. As you would expect, the guys don’t come out to roaring guitars and huge drums, instead the build thing up from the ground with a sound similar of that to Puscifer when they are in full instrumental mode. Opening up with ‘3WW’ the talent of these guys shine through and it’s clear that all members are masters of their instruments without the need to show off and be at the forefront of the track. The technicality mixed with the false simplicity of the songs creates a dream-like atmosphere. They are mesmerizing. Slipping into the brilliant ‘Tessellate’ like the smooth buggers they are, the audience are in equal amounts of awe and excitement. For me, these guys are a strong contender for band of the weekend, proving that sometimes less is more. Another band that goes by the same rules of ‘less is more’, admittedly very loudly though, is tonight’s second stage headliners, Royal Blood, and my God they are on form tonight! Straight away the tribal-like drums begin and the duo jump into ‘Where Are You Know?’. As the heavily distorted bass pounds straight through your chest, the drums kick in and the crowd go crazy. Royal Blood are a band that seem to have established an instantly recognisable sound so early on in their career and, thankfully, refuse to step away from it. Behind a curtain of lasers, ‘Little Monster’ kicks in, thundering home a chorus made even bigger with a backing choir of a few thousand fans. Mid-way through, the bass cuts for a brilliant drum solo from Ben Thatcher before kicking back in to a final chorus. The West Sussex duo bounce off each other throughout the set and a sense of brotherhood shines through. The lights dim and the silhouette of frontman and bass guitarist Mike Kerr is highlighted only by a dim white light behind. The swelling bass builds up until finally breaking into the bouncy opening riff of ‘Ten Tonne Skeleton’. Closing the set and BBC Big Weekend 2017 they break into the behemoth of a track ‘Out of the Black’. 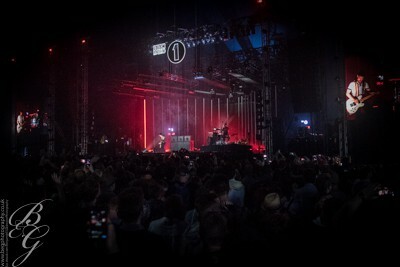 Performing an incredible extended intro, Thatcher jumps into the crowd whilst Kerr remains on stage creating a haze of bassy feedback and noise. They own the stage and tonight are true rock stars. Joining his partner in crime back on stage, Thatcher jumps back behind the kit as Kerr breaks back into the lead riff. The set finishes with both members stood on the drum riser platform making as much noise as possible and I honestly didn’t want it to end. An insane end to an incredible performance and a brilliant day. 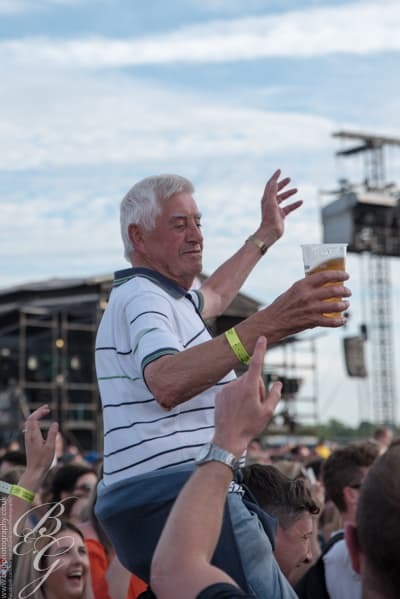 Don’t be a stranger, Big Weekend, you’re welcome here anytime.